Tracy's Notebook of Style: Friday Favorites under $25 + New Oh Joy! 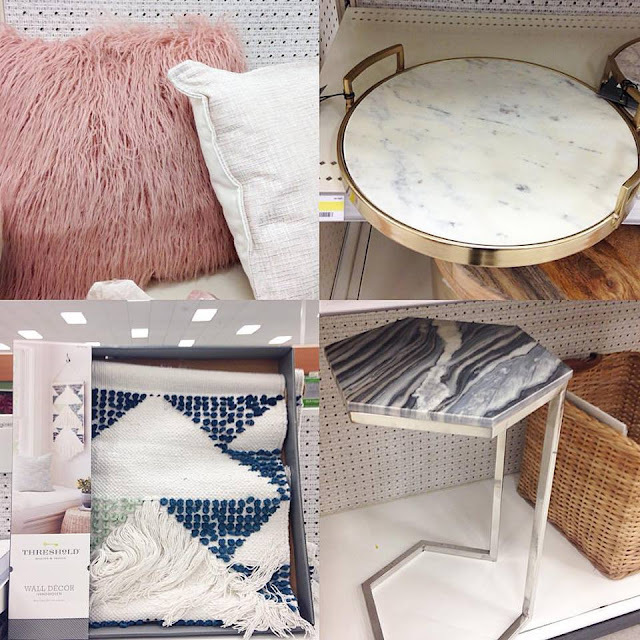 at Target + Weekend Sales! 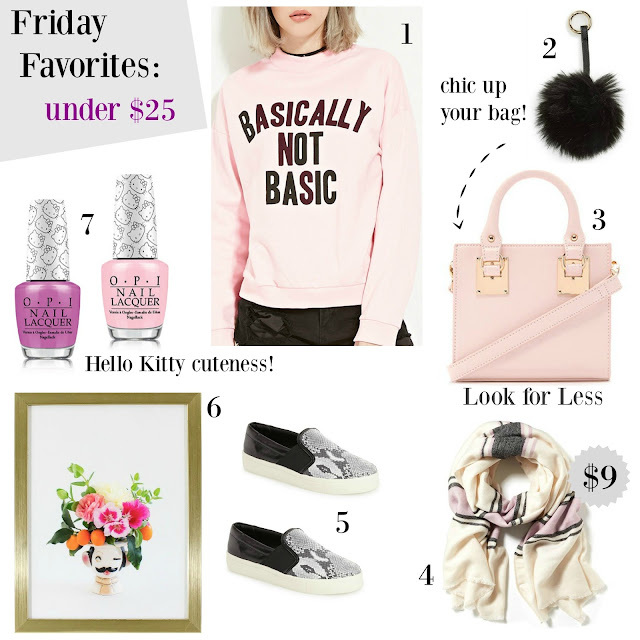 Friday Favorites under $25 + New Oh Joy! 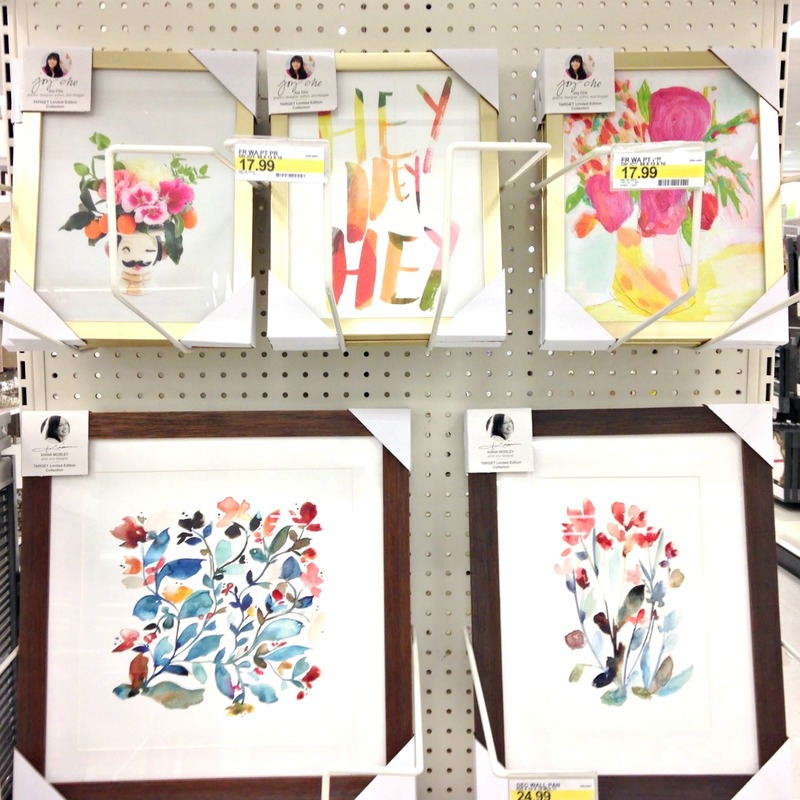 at Target + Weekend Sales! We are officially finished with the first week of 2016! While I'm still busy hunting down clearance items, new arrivals are starting to pop up and I couldn't be happier to see more pale pink, one of my favorite colors to wear with black this time of year. 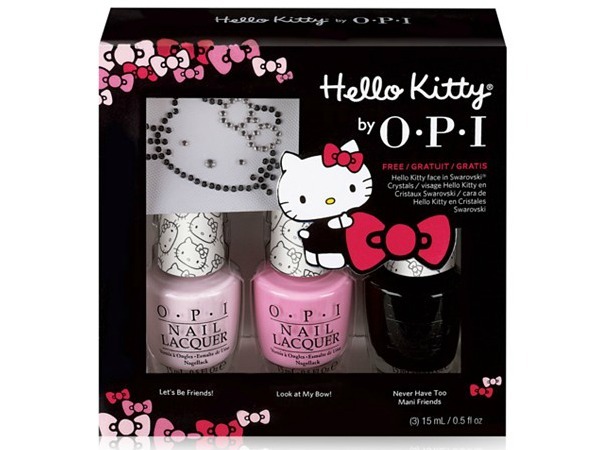 My hear skipped a beat upon seeing the Hello Kitty adorned nail polish, and even though I only got to see a couple of shades in person, I'm hoping to take a peek of the entire collection this weekend. Try and pop in Forever 21 this weekend to check out their latest handbag "look for less" mini bags, so darn cute! The pink bag is similar to the Lady Dior Bag that retails for thousands! The cream bag slightly resembles the Alexander Wang 'Rockie' Bag. This tote looked like real leather in person because of the textured detail. 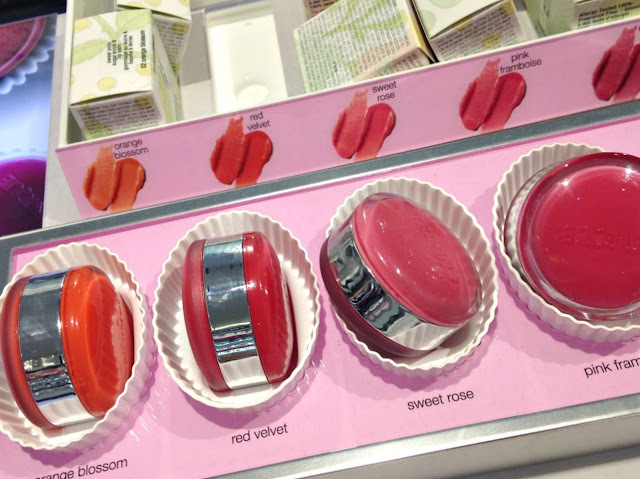 Macy's also sells the collection here + every beauty item ships free! for the Mom-to-be or treat yourself to a cute diaper bag for the new year! 1 Flamingo Security Blanket $14.99 Oh my flamingo, how cute is this?!! One side is your tinted lip balm and the other is an exfoliating lip scrub. Bloomingdale's Loyalists (free to sign up) get 15% off your purchase or 20% off with your Bloomingdale's credit card + Get a $25 reward card for every $100 you spend! So many fun pieces and great deals! You know I love that pink F21 bag! I'm all about structured satchels! Thanks Gina, the pink mini bag is one of my favorite bags I've seen at F21, good things to look forward to with their spring collection! Hey, I have just purchased a stylish diaper bags in affordable price, I love bags.